In visiting DazedDigital.com you are agreeing to be legally bound by the following terms, which shall take effect immediately on your first use of the site. Dazed Digital may modify this Agreement from time to time and such modification shall be effective upon posting online. Please review this Agreement regularly to ensure you are updated as to any changes. To continue to use DazedDigital.com after changes are posted means you agree to be legally bound by these terms as updated and/or amended. All material on the site is the property of DazedDigital.com, unless otherwise stated. Unless content carries the a “share” icon you may not copy, reproduce, download, post, make available to the public, or otherwise use DazedDigital.com content in any way except for your own personal, non-commercial use. You agree to use DazedDigital.com only for lawful purposes, and in a way that does not infringe the rights of, restrict or inhibit anyone else's use and enjoyment of DazedDigital.com. Prohibited behaviour includes harassing or causing distress or inconvenience to any person, transmitting obscene or offensive content or disrupting the normal flow of dialogue within DazeDdigital.com. The content of DazedDigital.com, including the information, names, images, pictures, logos and icons regarding or relating to DazedDigital.com or Dazed & Confused its products and services (or to third party products and services), is provided "AS IS" and on an "IS AVAILABLE" basis without any representations or any kind of warranty made (whether express or implied by law) to the extent permitted by law, including the implied warranties of satisfactory quality, fitness for a particular purpose, non-infringement, compatibility, security and accuracy. Where you are invited to submit any contribution to DazedDigital.com you agree, by submitting your contribution, to grant DazedDigital the right to reproduce, modify, adapt, publish, translate create derivitative works from, distribute, preform, play, make available to the public, and / or to incorporate your contribution in other works in any media now known or later developed. You agree to indemnify Dazed Digital against all legal fees, damages, and other expenses that may be incurred by Dazed Digital as a result of your breach of the above warranty, and waive any moral rights in your contribution for the purposes of its submission to and publication on DazedDigital.com and the purposes specified above. Dazed is partnering with Knight Dragon to find upcoming talent to fill up to five (5) creative studio spaces adjacent to The Design District at Greenwich Peninsula developed by Knight Dragon Developments Limited (“Knight Dragon”). Dazed will launch an open call for creatives in need of a studio space, to apply through the Dazed website by submitting their portfolio, their rationale and their two - year development plan. The submissions will be judged by our expert panel and the up to five (5) entries deemed to be most compelling and viable from both a creative as well as a business perspective will be selected as winners. The panel comprises: Dazed and Confused founder Jefferson Hack, Dazed Arts and Culture Editor Ashleigh Kane, Head of Creative Thomas Gorton as well as two representative members of Greenwich Peninsula. The expert panel will select four (4) winners (this may be increased to five (5) after the four winners have been selected if the space requirements of the four winners allows for a fifth space to be offered) and will announce the winners on the Dazed media platforms and on the Greenwich Peninsula/Design District platforms by no later than 31 March 2019. All winners of the competition will be entitled to 12 months rent-free studio space (selected at Knight Dragon’s discretion) in the Design District Space x Dazed at Greenwich Peninsula. Utility bills and costs such as, but not limited to, electricity, cleaning and high-speed internet will be at the expense of the winner(s), although basic Wi-Fi will be provided. THESE OFFICIAL RULES FORM A BINDING CONTRACT— READ THEM CAREFULLY BEFORE ENTERING. WITHOUT LIMITATION, THIS CONTRACT INCLUDES A RELEASE AND LICENSE FROM YOU, AND A LIMITATION OF CERTAIN OF YOUR RIGHTS AND REMEDIES. 1. The promoter and administrator of the competition is Waddell Ltd. (Co. No. 03039139) trading as Dazed Media (“Dazed”). 2. To enter the competition, Entrants must follow the appropriate link on Dazed’s website Each Entrant may only enter once, and evidence of multiple entries by or on behalf of the same Entrant will result in disqualification of all related entries. 3. Participation in the competition constitutes Entrant's full and unconditional agreement to these Official Rules. Entrant is free to disclaim any prize and status as Entrant, and as a result will not be eligible to receive any prize. All decisions related to, as well as all interpretation of, these Official Rules by Dazed are final and binding. While this Competition may be promoted via social media websites, such websites are not affiliated with Dazed or this Competition. This Competition is in no way sponsored, endorsed or administered by, or associated with Facebook, Twitter, Instagram, Snapchat or any other site or medium that might host content where information about this Promotion is posted or published (collectively "Content Hosts"). Entrant is providing information only to Dazed and Knight Dragon and not to Content Hosts. 4. Entrants must be: over 18 years of age, must not be enrolled to any University inside or outside the UK and must not be a full-or part-time student. Entrants must not be renting or own a studio space at the time of their application. Entrants must be living within a reasonable distance to be able to commute on a daily basis. Winners must be able to move in to the studio space in Greenwich Peninsula (situated in London, UK) from no later than 1 April 2019 and able to use the same studio space for 12 months from the move-in date. Winners will be asked to provide a proof of address. 5. Competition winners should not be away from the space for periods of more than 21 consecutive days. Where a winner is away for 21 consecutive days, the winner will be disqualified and forfeit the prize, and an alternate potential winner may be selected, unless otherwise agreed in writing by the parties. 6. Dazed will ask the applicants to submit a written paragraph of 400 words via the website entry, creatively describing their need for space and identifying the impact a physical space would have on their work and an additional paragraph of 400 words in which they will be asked to articulate their two year business development plan . A portfolio of their previous work must be uploaded alongside. The applicants will also be required to tick two boxes, one to agree to the T&Cs of the competition and the second one to confirm they agree to Dazed sharing their email address and contact details with Knight Dragon to hear about future affordable work space. 7. Only entries received by 7/2/19 (the “Closing Date”) will be entered into the competition. Entries received after this Closing Date will not be processed. 9. Winning entries will be selected by the expert panel based on their portfolio and the information submitted in the provided form, in their absolute discretion. 10. By entering this Competition, Entrant agrees to Dazed’s manner of collection, use and retention, of Entrant's Personal Information submitted in connection with the Competition for similar opportunities in the future, as well as its disclosure to Knight Dragon, for the legitimate interests purpose of marketing space opportunities within Greenwich Peninsula and the Design District). Entrants may opt out of/unsubscribe from future marketing communications at any time. Any and all Entrant Personal Information will only be used in accordance with applicable data privacy laws. 11. Potential winners are each subject to eligibility verification, on an ongoing basis, by Dazed, whose decisions are final and binding. To be verified as eligible to win, each potential winner must comply with these Official Rules. Each potential winner will be notified by email or phone (subject to Dazed discretion). If a potential winner cannot be contacted using the information provided, or fails to respond to notification attempts within two business days; if notification is returned as undeliverable (regardless if the message is ultimately delivered to the recipient); if a potential winner is unable or unwilling to accept the prize (or any portion) as stated; or if the potential winner cannot be verified as eligible for any reason at any time before, during, or after the Closing Date, the potential winner will be disqualified and forfeit the prize, and an alternate potential winner may be selected. 13. All prizes are non-exchangeable, non-transferable, and not redeemable for cash or other prizes (in whole or in part). Dazed accepts no responsibility for any costs associated with any prize which are not specifically included in the prize, including, without limitation expenses related to moving into the studio and insurance. .
15. Dazed reserves the right at any time and from time to time to modify or discontinue, temporarily or permanently, this competition with or without prior notice due to reasons outside their control or to amend or modify these terms and conditions at any time. 16. 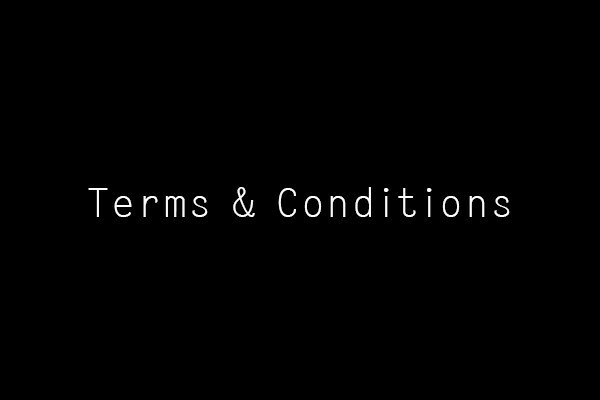 These terms and conditions are governed by the laws of England and Wales. Any disputes arising under or in connection with them shall be subject to the exclusive jurisdiction of the courts of England.